It’s almost that time of year again! Football is ba…, well sort of. 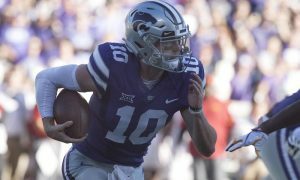 Spring football is just right around the corner across Big 12 country and what better way to kick things off with a little watch list? 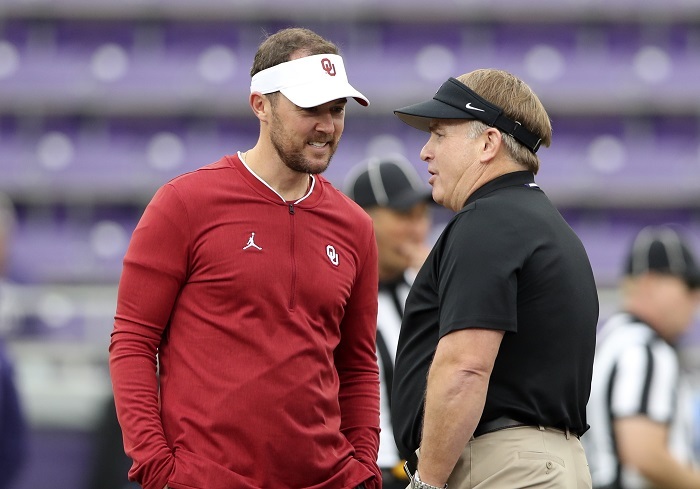 Dozens of early enrollees are already on campus and I thought that before we kick off spring ball, I would give you one early enrollee to watch for each Big 12 team for spring practice. 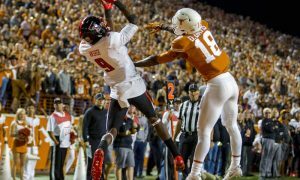 With Lil’Jordan Humphrey gone, there will be a huge hole in production at the wide receiver position for Texas. What better way to fill that production than with five-star wide out Jordan Whittington. Jordan is a very strong, physical wide out who plays the game with a chip on his shoulder. 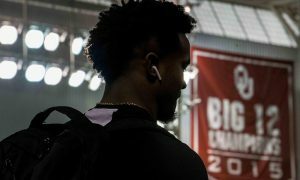 If you watched the Texas state title games back in December, Jordan had one of those performances that will not be soon forgotten. Everything I have heard about this guy has been positive so far and I wouldn’t be surprised to see him in the starting rotation this fall but I can’t wait to see what he can do in the spring first. It’s no secret that the Sooners defense missed Obo Okoronkwo last season as the Sooners didn’t really have that one guy who could get a sack when the defense needed to get off the field badly. I am sure new defensive coordinator Alex Grinch will be trying to find that guy who can get to the quarterback and the question is could that guy be LaRon Stokes? Coming out of Northeastern Oklahoma A&M, LaRon is a very athletic edge rusher who loves to pin his ears back and just get to the football. Without a doubt, he will have plenty of eyeballs on him during spring ball. This will be the third straight year where TCU signs a four-star quarterback. But with Shawn Robinson gone and with questions still surrounding Justin Rogers health, the Frogs need more healthy quarterbacks. Sure, they added Kansas State transfer Alex Delton, but nobody is quite sure how he will fit in at TCU just yet. 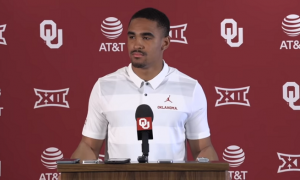 We all saw how bad the quarterback play was last year for this program and this team is a good quarterback away from competing for a Big 12 title once again. Can Max Duggan be the long-term answer at quarterback for the Horned Frogs? We will find out very soon. After losing some key starters up front on the defensive line, Baylor could use some immediate help on the edge. 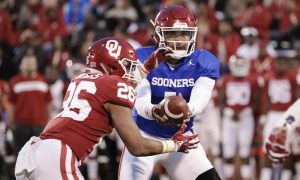 The Bears struggled last season getting to the quarterback and the hopes are to have a guy like Niadre fill in right away and solve that problem. At 6’5 Niadre is very long and I would be curious to see what his wingspan is. However, his size doesn’t take away from his speed because he has a very quick twitch off the edge when rushing quarterbacks. This is a guy Baylor really needs this fall to be a key contributor. Much like Baylor, Oklahoma State loses a lot from their defensive line from a season ago. 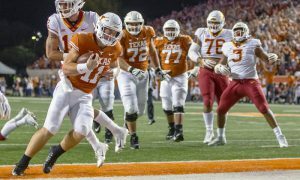 In fact, they may be losing even more than Baylor and when defensive tackle Darrion Daniels decided to transfer, there is a very big need for someone to clog up the middle. Sione has junior college experience and with so many young guys up front, Sione is likely someone who will see plenty of action right away both this spring and this fall. It is always tough when you must replace a superstar on your offense especially when it is a running back like David Montgomery. David was an incredible football player and one of the best running backs in the entire country however I think the Cyclones have a special talent coming in with Breece Hall. In fact, he reminds me a lot of the guy he is trying to replace. He moves very well for his size and has great vision along with cutting abilities. One thing that surprised me when I saw him at the All-American Bowl? His ability to catch the football out of the backfield. Again, I believe he will be a stud for the Cyclones, and I can’t wait to see what he can do. West Virginia was a bit shaky at the cornerback position last season and to simply put it, I believe Dreshun is someone who can see some early playing time. I really like his size at 6’2 and for a corner in this conference, you will face some guys who are 6’3 plus at wide out. 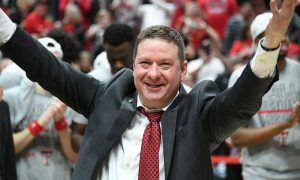 The Mountaineers may have had only three early enrollees for the spring but that doesn’t mean that anyone out of that group can’t make an impact. Mountaineer fans should be excited that he is already on campus. 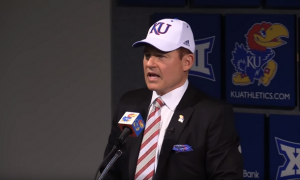 Ok, he isn’t part of the 2019 recruiting class but there weren’t many options for early enrollees at Kansas State because more than half were transfers. James comes from Ball State and with Alex Barnes leaving for the NFL, the Wildcats will need some bodies at running back and James Gilbert could be the guy who steps in and plays right away even in the spring. After rushing for over 1,300 yards in 2016, James suffered a season ending injury in 2017 before making his return last season where his carries were limited due to splitting time with others. In six games at Mesa Community College, Thomas threw for over 1,000 yards and 16 touchdowns this past season. Even though he is listed as a pocket passer, on film Thomas shows that he can run the football very well at his size. He isn’t going to burn someone for an eighty-yard score with his legs, but he is more than capable of getting chunks of yardage on the ground. His throwing motion looks effortless and if there is anything, I can question it is his arm strength and maybe his accuracy a tad but from what I saw on film looked better than what Kansas currently has at quarterback. With Thomas being already on campus, that is a HUGE plus for him to be right in the mix for the starting quarterback job. How often do you see someone who is 6’11 playing football? That’s insane but he is a football player through and through. Texas Tech has only two early enrollees, but Trevor is a very fascinating player because of his size alone. Tech improved on the offensive line this past season and their line is pretty much still set now. However, Trevor could be someone who gets in the two-deep early in the spring.